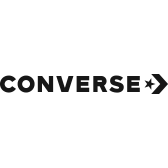 The Converse High Street canvas sneaker offers a modernized look of the classic Chuck Taylor for a look that he will love. This comfortable style offers a cushioned tongue and collar to keep him comfortable while walking from class to class. The medial eyelets offer enhanced airflow to help prevent odors. Converse has been the popular style for over 100 years and never fails to please. Get your pair today!